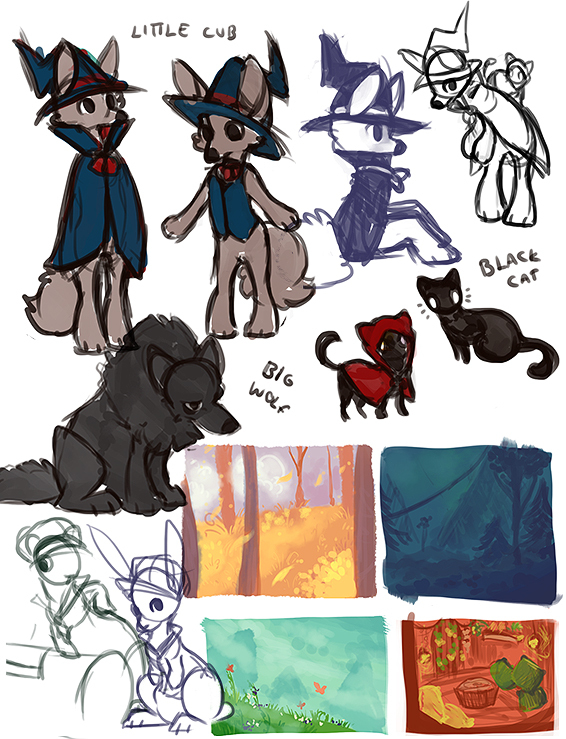 Here are some of the concepts I made for the comic before starting. Some stuff ended up changing, like Little Wolf's name, and some things didn't end up getting used at all, like that bunny guy in the corner! 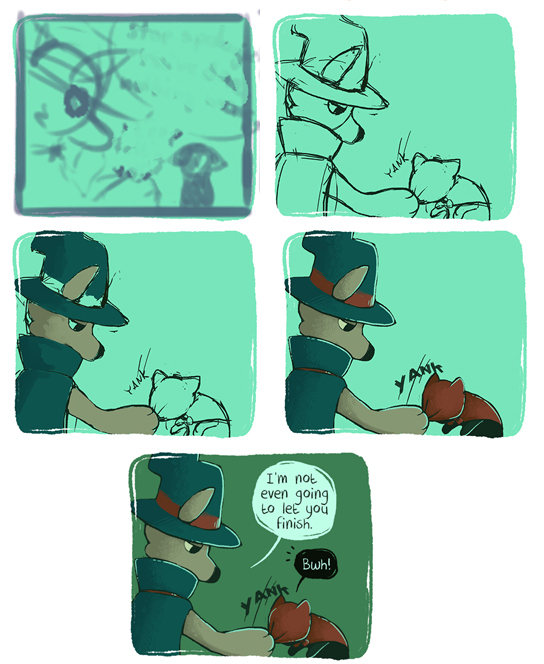 I had a pretty clear vision of what I wanted the comic to be, so it didn't change too much. 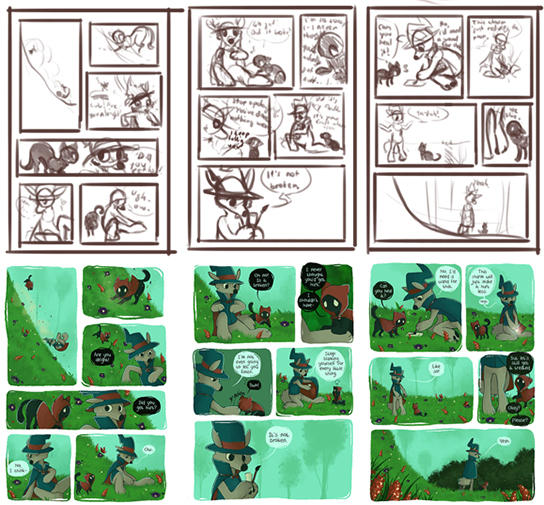 A tiny comparison between how the thumbnails look like, and how the final pages ended up.